Kmart has reinvented the Blue Light Special and it’s… well, a bit blue. Perhaps too blue for traditional television and that’s part of the unique strategy. The original discount department store has pulled a little sophomoric potty humor out of isle ten in hopes of gaining more attention in a retail marketplace dominated by Walmart, Target and Amazon. 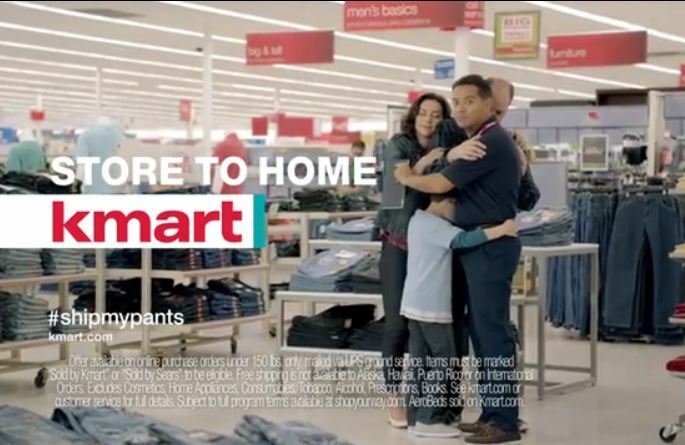 Kmart’s “Ship My Pants” commercial created by DraftFCB Chicago. 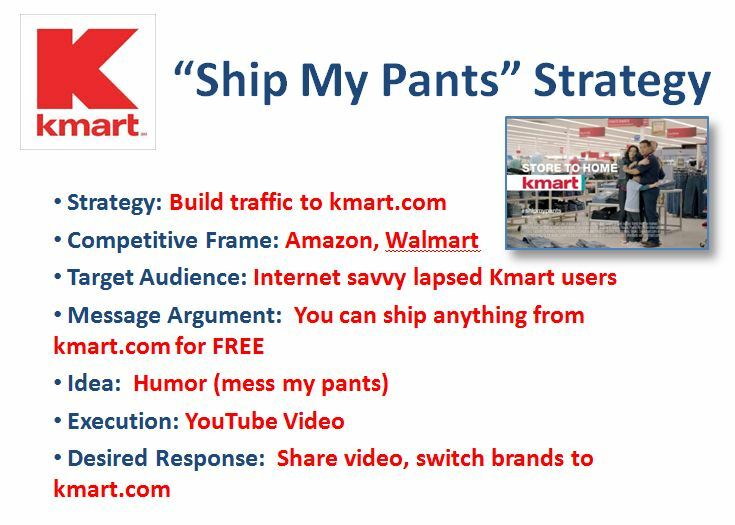 DraftFCB in Chicago has produced a brilliantly off-color and humorous message promoting Kmart’s ability to “ship my pants,” or anything else from kmart.com for free. The unique part of the strategy is to avoid television, and go directly to social media where edgy messaging can exceed the more sanitized boundaries of broadcast television. It’s a messaging strategy more agencies and brands are exploiting in a multi-digital channel viral world. In Kmart’s case, it was a brilliant success. In the first 48-hours, “Ship my Pants” received more than two million YouTube views. Kmart is far from alone. NJOY smokeless cigarettes also just scored a viral hit with Courtney Love dropping the f-bomb in an internet-only commercial that says bad girls can still be bad. Several years ago, Ford didn’t have to say a word while promoting a sport version of its successful European compact car named Ka. It targeted young urban men with an edgy internet video, the likes of which could never air in the United States. Central to the strategy in all of these campaigns is the sharable functionality of social media. Brand loyalists, followers, and viewers of these commercials who like and share the message among friends are in many respects more valuable than an expensive spot on prime time television. In Kmart’s case, the strategy creates some opportunistic buzz for the brand at a time when JC Penney is hemorrhaging customers and every other discount retailer is still fighting for market share in the economic recovery. Kmart and DraftFCB prove that creativity is still alive and well and fun… if not a little naughty. The video was a huge hit at the Advanced Storytelling Workshop. Shows the value of a good idea. We miss you at the workshop. Can you believe it’s been 15 years? Steve, you’re an example of another great idea! Congratulations on 15 years! Truly one of the single most important weeks of my life. Give my best to everyone!